The first constitution of Denmark was signed by the King of Denmark Frederick VII on June 5, 1849. This event marked the transition of the country from absolute monarchy to constitutional monarchy. Since then the constitution of Denmark was rewritten four times. The changes were made in 1866, 1915, 1920 and 1953. 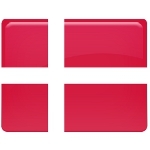 Current constitution of Denmark was adopted on June 5, 1953. Another event in the history of Denmark gives even more significance to celebration of Constitution Day. Women were given right to vote on June 5, 1915. Although this holiday marks very significant events, different celebrations are not widely seen. Families usually go out to celebrate Father's Day, that falls on June 5.